There has been a lot of talk lately on the subject of climate change in the news media, newspapers and magazines. People are divided on the issue to say the least. Some are strong opponents on the claims of climate change ( formerly know as Global warming) made by those who support the claim. Many European nations and the US are pushing for changes to avoid, what they call a catastrophic future if nothing gets done. Opponents say that these claims are not factual and will cost billions without knowing if anything will change. I’m not an expert on Climate change and I’m not writing on Evolution here in scientific details, but just a few thoughts that went through my mind about this hot button issue. What if this supposedly, change in climate is nothing more than the next evolutionary step in the history of the earth? The secular world believes and promotes Charles Darwin’s view of evolution and it is being taught in schools around the world as factual. In the view of the evolutionist, the earth came into being by the big bang, some 4.3 billion years ago, by some particles colliding in space, giving birth to the universe and the earth that we now inhabit. If people believe the evolutionary teachings by Darwin, would it not be possible, that evolution is continuing today, and we are first hand eyewitnesses to it? Are we in the unique position to see the earth going through another evolutionary step? Charles Darwin called it natural selection, the survival of the fittest. If this climate change is so horrific for the future of mankind, maybe mankind is moving towards extinction, giving way for a more superior species? The Dinosaurs and many other creatures have been extinct for millions of years, according to evolutionist. Other creatures have gone through dramatic changes, to become what they are today. Before we were humans, we were nothing more than apes and we evolved to humans as we are now, over the long process of evolution, if we believe certain scientist. Thus man is nothing more than an animal, who was not created by an almighty Creator, but rather came into existence by accident . Yet, there seems to be a strong will to survive for mankind, to go on living into infinity. Why is that? If we are nothing more than creatures, why not just let the evolutionary process take place and man will be replaced by who knows? 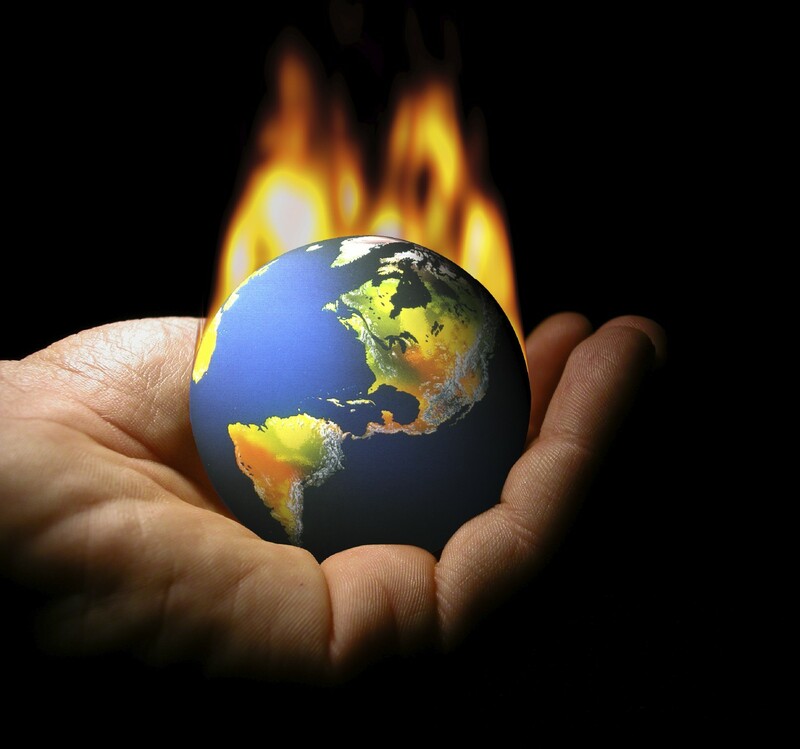 If the earth is heating up as they claim, even though, earth has been through climate change in history before, we may see some drastic changes in the near future. The food supply, coastal flooding and drastic changes in the weather patterns will be some of the consequences caused by climate change accordion to a new report by the UN, if we ignore it. The outcry to do something is great among the scientist and politicians to spring into action now before it is too late. Of course, this will come with a heavy price tag, for the tax payers, many changes will have to be made, if they want to combat this supposedly existing and threatening climate change. I’m not sure if this “climate change” is man-made or just another cycle that the earth is going through. As I said in the beginning, I am not an expert on these things, but I do have a feeling that there is an agenda behind all of this. The Green movement has been around for a while now and Al Gore’s claims of Global warming, now called climate change, has survived. If people believe in the theory of evolution, than people should not be surprised to see changes in the climate. This is the Holy Grail for many liberals, environmentalist and others, who want to see drastic changes in Europe and the US, while other countries like China, India and keep polluting. It amazes me somehow that so many scientist, politicians, environmentalist and liberals place so much value on a human life. Yet, they see nothing wrong with aborting the innocence daily in great numbers around the world. Just today, as I’m writing this, 2048 abortions took place just in the US alone. Since Roe vs Wade in 1973, over 56 million abortions took place in the US. Planned Parenthood aborted over 6.7 million unborn since 1970. This year, over 82.000 abortions were performed by Planned Parenthood. Worldwide, there have been over 1,3 billion abortions since 1980. Over 75.000 just today. Where is the outcry and the voice for these innocent unborn? Where are the politicians and liberals when it comes to the murder of billions because of mostly unwanted pregnancies? Climate change, if it is a fact, may kill many people in the future, but Abortion is a fact and has and is killing human life each and every day. Who will speak up on this Holocaust? I received the sad news, that a friend of mine past away in Germany. From what I know, it was a heart related issue. I have lost several family members and friends in the past couple of years, and whenever I hear of someones death, several thought go through my mind about death, eternity and the destination of people. The first thought that went through my mind, when I learned of his death was, did he believe in Jesus as his Lord and Savior? From what I know, he was not a believer the last time I saw him. Neither was I until 2006. Growing up in Germany is pretty much being secular. People in Germany have lost touch with God. That saddens me quite a bit, knowing what I know now. There is however a remnant and many think that Germany will see a revival. The second thought that went through my mind, was, what happened to him, after his death? What happened to his spirit after it left his physical body? Where did he go? The word of God is pretty clear about what happens to people who are not saved by the blood of the lamb. They will be eternally separated from God. Something the Bible calls Hell. An eternity without the presence of God. That is not an easy thought, even as a believer in Jesus Christ. Nobody wants to think that a friend or family member is in Hell, because they didn’t believe in Christ. But, that is what the word of God teaches, and I believe it. They have either rejected Christ or didn’t give any thought towards God. They lived a life without thanking God for all the blessings they received, even as unbelievers. The air that we breathe, the food and water and so many other things that sustain us throughout our lives. God created every one of us and we are wonderfully made. As a believer, I believe in creation, in a God, Who created all things. I can’t adhere to the theory of evolution or people who believe that we are here by accident or natural selection. Darwin was wrong and people who follow his theory are misguided and deceived by his teachings. Darwin led many people astray from the belief in a Creator. But, back to my friend. What happened to him, now that his spirit passed on into the spiritual realm? What if he did not believe in God and the finished work of Jesus on the cross? If he was not a believer, will he spent eternity in Hell? As I stated before, that is not an easy thought. I don’t want to think of my friends or family member, who did not believe, being in Hell. I think that’s where many people who are not believers i.e Christians, take issue with. The say, how can a loving God, send people to Hell. What kind of cruel God is that? Are you telling me that everybody that does not believe in Jesus goes to Hell? What about the Muslims, Hindus and people of other faith, they all go to Hell. That’s crazy. To be honest, I don’t know how Hell feels or looks like, but I know that I don’t want to end up there. Neither do I want anyone else to end up there. God Himself does not want people to go to Hell. That gives me comfort and hope, to know that God will do anything, for people to come to know Him. I believe that God will reveal Himself to people facing death. They may not have worshiped Him all their lives, but I truly believe that God will somehow show His love, maybe even in a split second before death arrives. I can’t prove it, but somehow it makes sense to me, knowing that God does not want anybody to perish, but have everlasting life. I believe that God reveled Himself to my friend and to my father, who died in 2005 and was not a believer. God is a loving God and He has sent His Son to reconcile us to Him. God does not want people to end up in Hell. God does not send people to Hell, they send themselves to Hell, because of their unbelief. They either rejected God, or they just did not want to believe in Him. That is a choice that everyone has to make. He does not force Himself on anyone, but He is long-suffering and patient. He wants all to come to the knowledge of truth and in to His marvelous light. That is what sets Christianity apart from many other religions. We as Christians believe in the true and living God, the God of Abraham, Isaac and Jacob, Who send His only begotten Son, to die and shed His blood for us on the cross. Jesus is our propitiation, the passover lamb. He did for us what we could not do for ourselves. He laid down His life for us, forgiving us of our sins and giving those who believe by faith, eternal life. 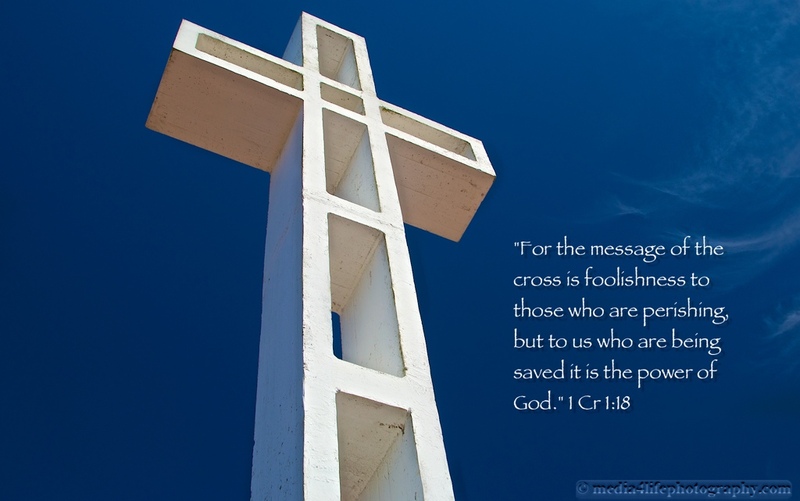 The message of the cross is foolishness to many. They believe that all roads lead to God and that they can work out their own salvation, either by good works or religious practices. That is what I like to call, a fig leaf religion. Just as Adam and Eve covered themselves with fig leafs to cover their nakedness, to hide their sins. God, however did not approve of that man-made idea and covered them in animal skins, signifying the first sacrifice and that blood was needed to cover their disobedience in the Garden. God made only one way to be reconciled with Him, and that is through His Son, Jesus the Messiah, Who is a stumbling block to many. Jesus is the only way to the Father and eternal life. Something that many reject and do not believe. They believe that there are many ways besides Jesus. It is not me saying this, it was Jesus Who said it. People can either believe what Jesus said, or reject it and call Him a liar. That is a choice. I would highly recommend to learn about Jesus and seek Him. Eternity apart from God, is a very long time. 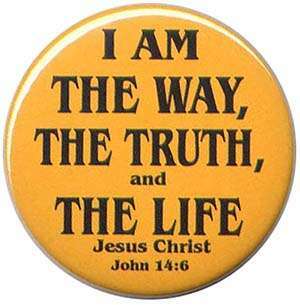 “Jesus said to him, “I am the way, the truth, and the life. No one comes to the Father except through Me.” John 14:6. “For God so loved the world that He gave His only begotten Son, that whoever believes in Him should not perish but have everlasting life. For God did not send His Son into the world to condemn the world, but that the world through Him might be saved. 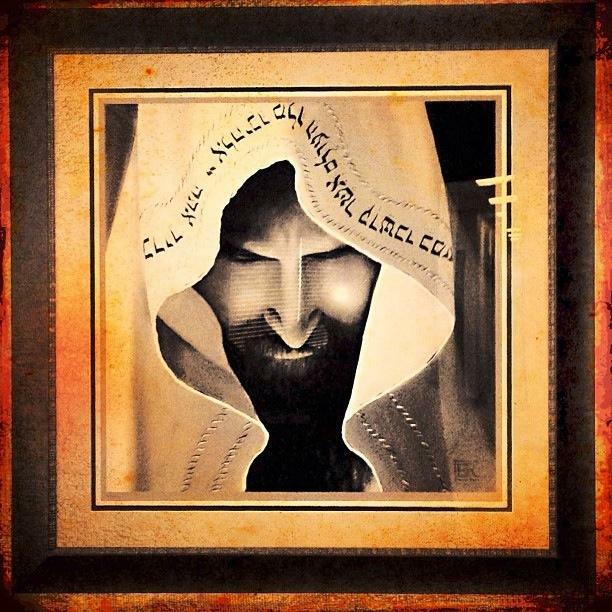 He who believes in Him is not condemned; but he who does not believe is condemned already, because he has not believed in the name of the only begotten Son of God. And this is the condemnation, that the light has come into the world, and men loved darkness rather than light, because their deeds were evil. For everyone practicing evil hates the light and does not come to the light, lest his deeds should be exposed.” John 3:16-20. I hope and pray, that if you are not a believer to at least read about Jesus and what He has done for you. Start with the Gospel of John and read about Him, the only One that can truly save you and give you eternal life. Maranatha Lord Jesus. When I hear that question, I cringe. 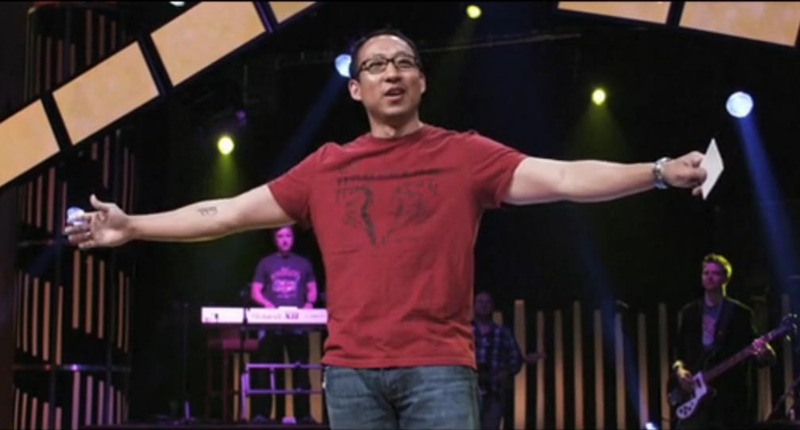 What answer will this Pastor give and will he tell the truth or trying to avoid a confrontation with the host and the audience? Sadly, I must say that most of these prominent Pastors failed miserably and danced around the question. Why? Are they afraid to speak the truth, or are the afraid that some people might get offended by the truth? This statement alone by Jesus would make Christianity very exclusive. Jesus is plain and simply saying that there are no other ways to be reconciled with the Father but through Him. Was He lying when He made that statement? Disciples and followers of Christ know this to be true, but there are of course many others that do not agree with that statement. There are for one those of a different faith that would not agree either. Than there are those who have no faith or “religion” at all and lastly those who call themselves Christians, who have become lukewarm and departed from the truth and follow the doctrine of men. People of a different faith sometimes call Christianity the “exclusive Club” and it is not surprising when they post the question: “What makes you think that you as Christians are the only once that have a relationship with God and we are not? We believe in a god, just not your God. Muslims claim that Allah is the true god and that all other people of faith are infidels. I have heard Jewish people say that they will automatically go to heaven just because of their Jewish faith. Hindus worship over 3.3 million gods and Buddhist, which is really not a religion but more of a philosophy, believe that they can reach Nirvana if the follow certain steps and the teachings of Buddha. Buddhist also believe in re-incarnation. A do over if it didn’t work out as they had hoped in this lifetime. What is the truth and who is right? Christians are not the one that made the statement about the only way to heaven, it was Jesus. So, those who have a problem with what Jesus said have to ask Him. Jesus, Who is God (2nd person of the triune Godhead) is the only One that came to reconcile the world to God, by laying down His life on the cross so that those who believe by faith will find forgiveness, salvation and eternal life. He was the Passover lamb, the promised Messiah. All other religion are man-made and there is only One true and living God. Christians believe in the God of Abraham, Isaac and Jacob. The Creator of all things, Who created us for His pleasure and to fellowship with Him just as Adam and Eve did before the fall. When sin entered the world, mankind was spiritually separated from God. God gave His only begotten Son and He paid a very costly price by having Jesus hang on the cross to be the substitute, the propitiation for our sins. Through His blood we are healed because He did what we could not do for ourselves. God the Father looks at the believers through the blood of Christ and he does no longer see our sins, He sees Jesus, Who’s righteousness was imputed onto those who believe by faith, just as Abraham did when he believed God. So when Jesus said, I am the way, the truth and the life, no one will come to Father but by Me, I have absolutely no problem believing the words of Jesus. He died for my sins and the sin of the world. Because of Him, we can come boldly before the throne of God and we have once again a relationship with God through faith and not of works. All man-made religions are works based, man trying to reach God on their own merit i.e a Fig Leaf Religion. All other religions are trying to reach God, in pure Christianity, God is reaching down to man. Not everybody will agree with what I wrote because they will argue that there are many other religions with good people who seek and love God, so why would you even think that only Christians know the real God and are the only once that go to heaven because of Jesus? My answer is that I believe Jesus and I believe that He died and rose for me so that I may have eternal life. No one else can claim that. No Muhammad, no Krishna, or any one else. I have been thinking about the “church” a lot in the last couple of month. Especially the “American Church.” Many of the main denominations have been lukewarm for quite some time it seems that some have completely departed from the faith. They are far from what the early church was, who relied on the Holy Spirit. Nothing was done without the guidance of the Holy Spirit. A friend of mine, posted a message just today having similar concerns about the church. Are we doing what we were asked to do? Are we helping those in need? Feed the poor and take care of orphans and widows as Jesus commanded us? Don’t misunderstand me, there are those who have a genuine heart to do the great commission and are doing a great job helping those in need. I am speaking in general, the overall picture that I am getting is that some churches as I said before are lukewarm, watering down the gospel, trying not to offend anybody. They do not want to mention the word sin, let alone the blood of Christ. Others are trying to be more contemporary, putting on concerts with so-called Christian Bands that don’t look all that much different from Nirvana or the Foo Fighters. There are so many activities going on around church, that one can loose track of which one to attend. It is sad to see the increase of activities and the rapid decline of teaching the word of truth. I’m not singling out one particular church or churches, I see a movement within the American Churches that worries me a bit. There is for one a movement called “Religious Pluralism” or “Interfaith movement” which I wrote a few weeks ago about that is sweeping the churches, especially those who were already pretty much in agreement with the world and have compromised the true gospel. I see this movement to be more “Contemprovant” in many churches and it does worry me to a degree. We now need light shows and PA systems that Metallica would be happy to have when they go on tour. Whatever happened to the more simple things? A time of worship and praise, followed by a study from the word of God? Why does everything has to look like modern and up to date? The early church didn’t have any of that and there was no need to have any of those modern things like light shows, gigantic speakers and worship bands that look just like secular bands with their designer clothing and tattoos (Christian tattoos of course). There is an old saying that goes something like that: If the Holy Spirit would have been removed from the early church, the church would have ceased to exist. If the Holy Spirit would be removed from today’s churches, 90% of the activities would continue. Those are just one of my personal thoughts and I’m not saying that I’m right and everybody else is wrong. I’m just voicing some concerns and I would truly appreciate your feedback from either side of this issue. May the Lord richly bless you and may we not lose our focus on Jesus, as Peter did when he stepped out of the boat to walk on the water as Jesus did. He lost focus and he started to drown. May the church not drown because it has lost it’s focus on Jesus and the guidance of the Holy Spirit. Here is a link to a Christian Parody video called “Contemprovant”. I think you get the idea. Here is something that amazes me every time. I posted a statement that Jesus made in the Gospel of John on my Twitter. As soon as I posted it, it was not Christians that responded, but Atheist. They were all over me, calling me a liar and other things. When I posted it, I didn’t even have atheism on my mind. I posted it as an encouragement and as biblical truth. The Atheist came out of the wood works ready to attack. I engaged with them for a little while and was amazed as always with their talking points. Makes one wonder what it is about Jesus and Christianity that sets them off. Another funny thing is that Atheist spend a whole lot of time arguing with people about something they believe does not exist. Books have been written, seminars and debates are held worldwide for something they do not believe in. I believe that deep in their hearts, there is a stirring going on. A spiritual warfare. They already belong to the evil one without even realizing it. It’s sad really, to deny God’s existence which they have no proof of. This denial of God and His existence is by faith and I don’t have enough faith to be an Atheist. Please pray for them, they are too blind to see or refuse to see. They refuse to come to the light which is Jesus. Jesus Himself said so: “And this is the condemnation, that the light has come into the world, and men loved darkness rather than light, because their deeds were evil.” John 3 :19. Jesus is the only way, not a way as many want to believe and teach. Even among Christians and some denominations, this statement of Jesus is being disputed. It’s a movement called “Religious Pluralism” Our God is not a Burger King, we can’t have it our way. God has provided us with only one way to be reconciled with Him and that is through Christ Jesus and His precious blood. We are a new creation, the old things that we once loved and worshiped have passed away. All things have become new. The old man is dead and we are now made alive in Christ. It is not by our righteousness that justifies and reconciles us to God the Father. It is His righteousness that was imputed onto all those who believe by faith. Abraham was declared righteous before God, not by his work, but because of his faith in the Creator of all things. We as true believers have already received eternal life because of our faith in Jesus and His finished work on the cross. He has done it all. I am thankful to know Jesus, my Lord and Savior. Thanks to Him, I am forgiven of my sins, past, present and future. His blood did not just cover my sins as the animal sacrifices did under the law in the old covenant, He nailed them to the cross once and for all. God has forgotten our sins as far as the East is from the West and He will remember then no more. Don’t let Satan remind you of your past. Remind him of his future. “But what things were gain to me, these I have counted loss for Christ. Yet indeed I also count all things loss for the excellence of the knowledge of Christ Jesus my Lord, for whom I have suffered the loss of all things, and count them as rubbish, that I may gain Christ and be found in Him, not having my own righteousness, which is from the law, but that which is through faith in Christ, the righteousness which is from God by faith; that I may know Him and the power of His resurrection, and the fellowship of His sufferings, being conformed to His death, if, by any means, I may attain to the resurrection from the dead.” Phl 3: 7-11. Media 4 Life Ministries is exited to announce that our new apps will be available for download this fall. At no time in history has it been easier to be a true Christian as today. We all want convenience and we here at Media 4 Life Ministries have made that possible with our new apps soon to be released for the iPhone. (Sorry Android users, you may have to wait a bit longer.) We are working hard, so you don’t have to. Here is a preview of what’s to come. We are getting great reviews from the public. Don’t miss out on this new way of doing church. Need forgiveness? No problem, with our app you can ask God for forgiveness without even talking to a Pastor or Priest. This app will give you a 100% assurance that you are forgiven. Monthly subscription fee and registration are required. Done something wrong? Use this app to confess your wrongs and they will be erased. This app comes with a monitoring dashboard which can be used to keep track and lets you see the history of your past wrongs. Easy to use and never fails. Want to know how much faith you have if any? This app gives you an easy way to monitor and test your current faith level. Is you faith at an all time low? For a monthly subscription we can show you how to increase your faith and keep it that way. No more worrying and sleepless nights. Not sure if you are saved? Answer a few simple questions and this app will show you whether you are saved or not. 100% guaranteed results. If you are not saved, use the iRepent app. Are you an habitual sinner? No problem, with this app you can check your progress with an easy instruction manual that will help you to forsake your habitual sins, step by step, one day at a time. Free with the purchase of complete app package. Are you tired of coming to the church early for worship? No problem this app will let you worship in the car while you on the way to church. Tired of getting out of bed on Sunday mornings? This virtual church app lets you attend church anytime you want, without getting out of bed. No shirt or shoes required. This is a free app and our love gift to you. Not sure if you are going to heaven? Our apps lets you monitor your progress. Media 4 Life Ministries wants nothing more than to make sure that you to go to heaven. That’s why we are making these apps available at a low-cost to you. Media 4 Life Ministries Create a free website or blog at WordPress.com.